There are hair regrowth products and then there’s FOLIGAIN® 5% MINOXIDIL TOPICAL SOLUTION, the latest breakthrough in hair regrowth technology! FOLIGAIN® 5% MINOXIDIL TOPICAL SOLUTION utilises the highest-purity research-grade materials, which translates into the most effective hair loss and regrowth treatment on the market today. 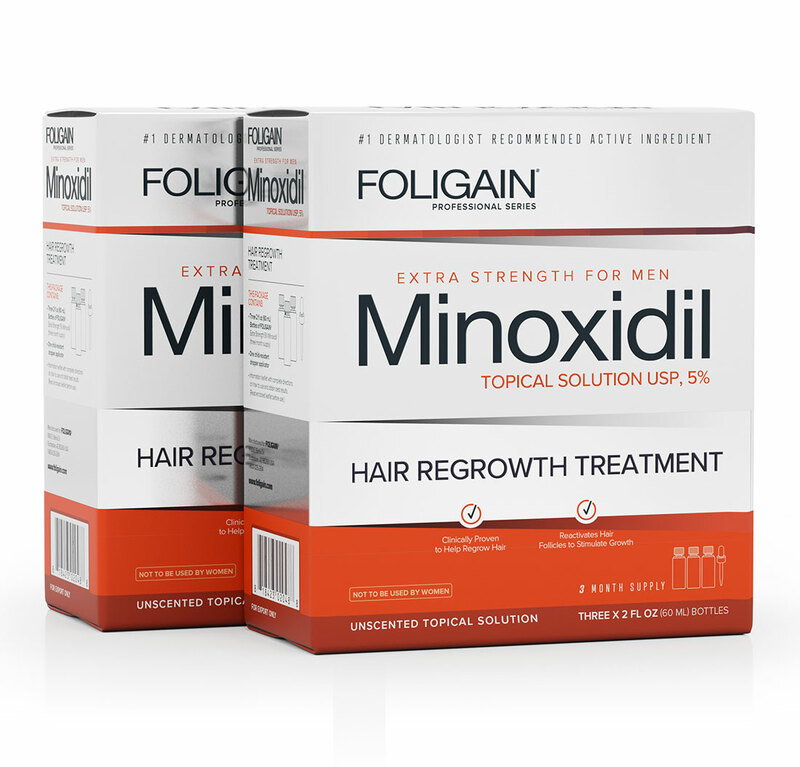 FOLIGAIN® 5% MINOXIDIL TOPICAL SOLUTION is scientifically proven to stop hair loss and promote hair regrowth on the scalp area in men, in just a few months of use. How Does FOLIGAIN® 5% MINOXIDIL TOPICAL SOLUTION Work? FOLIGAIN® 5% MINOXIDIL TOPICAL SOLUTION stimulates the scalp area—specifically the deadened hair follicles—which exerts maximum hair growth on the crown of the head in men. because this product may not work for you. • it takes time to regrow hair. Results may occur at 2 months with twice a day usage.